(Phys.org) —Corning Senior Vice President, Jeffrey Evenson told audience members at this year's MIT Technology Review's Mobile Summit, that its Gorilla Glass will very soon be used in automobiles. Currently, Gorilla Glass is used as part of a touch-screen for hand-held devices—from phones to tablet computers. Using the glass in automobiles Evenson said, would allow for better gas mileage and noise suppression. 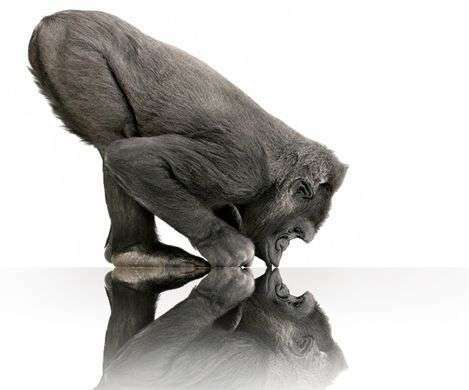 Gorilla Glass is currently estimated to be in use by over a billion and a half devices the world over, and has become a household name. Its strength and resistance to scratching in addition to its very low weight has made it an ideal candidate for touch-screen devices. Corning makes the glass using a propriety chemical process that causes more than the normal number of ions to be introduced into the glass, adding to its strength and reducing the likelihood of cracking. Also, like the glass currently used in automobiles, it's more likely to crack than shatter when subjected to extreme stress or impact. Evenson told those in attendance at the Summit that using Gorilla Glass in a car would cut down on the weight of the vehicle. Also, engineers could distribute the weight reduction in a way that would slightly alter the car's center of gravity. Together, he explained, that would help cars with the new window glass gain a few extra miles out of each gallon of fuel. He also noted that because of the unique nature of Gorilla Glass, cars that used it as a replacement for current glass would be much quieter inside the cabin. Evenson also suggested that he expects at least one high-end car maker to begin using Gorilla Glass in at least some of its vehicles as early as next year, though he wouldn't say which it was. He also briefly spoke about progress being made on a project he called microbiological glass, which he said, would kill bacteria on contact. He followed that by discussing another new product the company is working on called Willow Glass—a bendable type of glass that he said is currently about as thick as a dollar bill. He said its introduction will likely lead to the creation of hundreds of new devices. Transparent aluminum would do the job better. A few extra miles out of each GALLON of fuel? Or each tank of fuel? Together, he explained, that would help cars with the new window glass gain a few extra miles out of each gallon of fuel. That seems a tad optimistic. The current rule of thumb is: 150 pounds weight decrease of a vehicle will get you one mpg extra. I think substituting gorilla for regular glass will not drop the weight of a vehicle by 150 pounds - let alone multiple of that to merit a "few extra miles per gallon" estimate...even if you take this (mythical?) "change of center of gravity" effect into account.